Saskatoon, SK – Saskatoon Sports Tourism announced today the launch of their new partnership program. 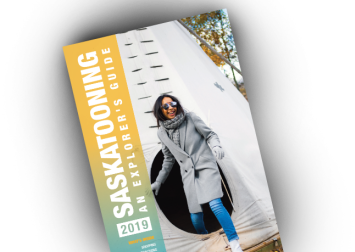 The Saskatoon Sports Tourism Partnership Program is designed to aid local organizations in their pursuit of sport events and in remaining competitive in an increasingly demanding sports tourism market. Saskatoon Sports Tourism is delighted to announce the first participants in their partnership program: Dakota Dunes Casino as MVP Partner, the 2013 Memorial Cup Host Committee as Team Builder Partner, and Saskatoon Soccer Centre Inc. as Sports Fan Partner. The Dakota Dunes Casino is located on the historical Whitecap First Nation, 20 minutes south of Saskatoon, Saskatchewan, on Highway 219. Located on a hilltop at the height of the South Saskatchewan River Valley Basin, this beautiful Vegas-style casino offers a magnificent view to compliment top-notch entertainment and First Nations hospitality. For more information, visit www.dakotadunescasino.com.